Map It! Okinawa: The Largest Cherry Tree on Okinawa? Largest Cherry Tree in Okinawa? North of Mt. 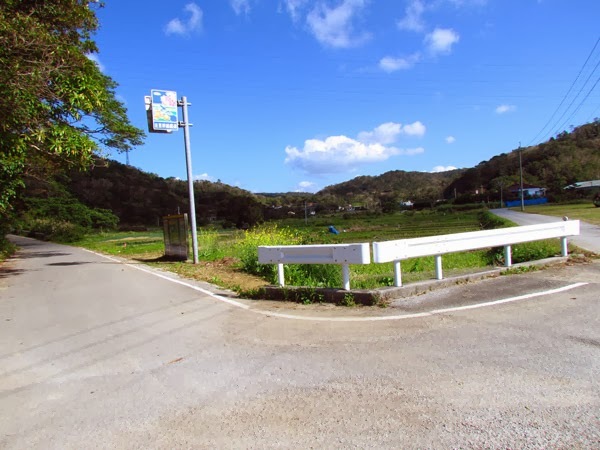 Yae, in a small town called Inoha, is a tiny village called Oarashi (大嵐). It is here you will find one of the largest cherry trees (if not the largest) on Okinawa. It is the pride and joy of this little village. Though the tree belongs on private property, it sits prominently high along the hillside near the main road. There is no official record stating its dimensions, but it estimated to stand at 27 feet high (8.2 meters) and 42 ft (12.8 meters) wide at its girth (see size comparison in this photo with photographer Michael Lynch taken in early 2013). 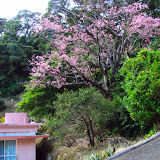 To see the tree in full bloom please visit this blog article (Japanese) posted in 2013 (picture taken in 2006). Tracing the tree's origins. The tree was first spotted during an exploration on the Motobu mountain ranges in 2012. The site was revisited in January 2013 only to find very few blossoms (2013 turned out to be a very bad year for cherry blossoms. We speculate that it had something to do with the severe 2012 typhoon season). The age of the tree is really not certain. 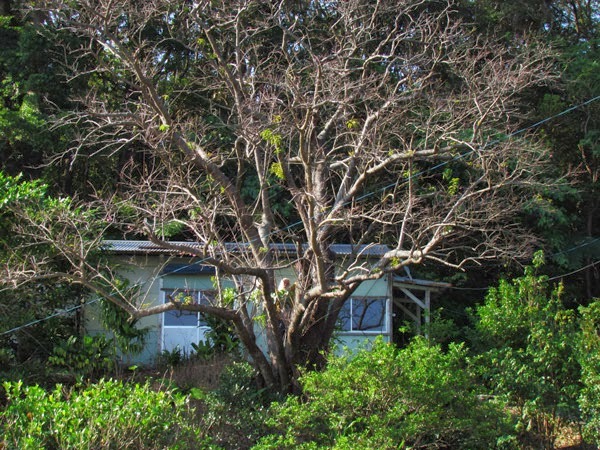 Ms. Takara (property owner) in 2013 had speculated the age to be over a 100 years old. A few others in that area have also made that claim. Others have speculated it to be 300 years old. The aforementioned blog article claimed the age to be of 200 years. He (or she) even states that the tree suffered damages during the war. None of this has been independently verified. Are there others in Okinawa? 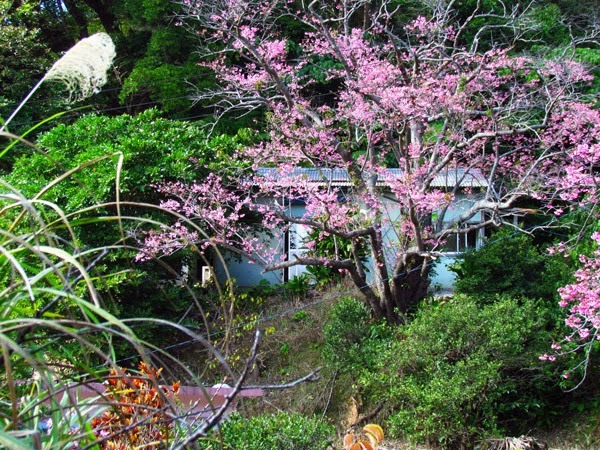 Is the Oarashi Cherry Tree the largest of its kind on Okinawa? Deep in the Nago Mountains you will also find some very, very large cherry trees. Another tree is said to rival the one in Oarashi; somewhere else on the Motobu Peninsula. Are there others? The hunt continues. Author's Notes. How well the cherry blossoms bloom can vary from year to year on Okinawa. The Oarashi Cherry Tree may have a great blooming season once in while and may not occur during subsequent seasons. Recommendations (PLEASE READ!). The Oarashi Cherry Tree sits on private property but it is highly visible from the public road. The neighbors in that area are aware of the reputation the tree brings to the little village and accustom to visitors wanting to take pictures. However, please be respectful in mannerism and treat this as private property. It is highly recommended that you don't park in the immediate area as this may interfere with traffic and day-to-day operations. 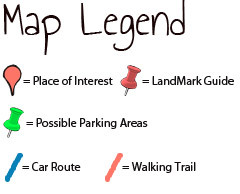 It is recommended that you park at the Green Thumbtack/LandMark marked on the map. Please take your pictures from the public road. Use your best judgement. Directions. 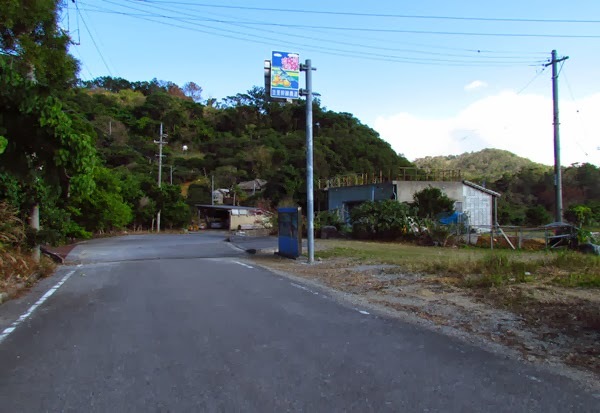 Take Highway 58 north to Nago City and then take Highway 449 to the Motobu Peninsula. Take Highway 84 going east towards Mr. Yaedake. There will be a turn-off just before the main entrance to Mt. Yaedake. See Blue Route in the map above. The turn-off is about 20 meters west of the main entrance and goes in the opposite direction of Mt. Yae. Follow the blue route. Your first LandMark is a tall road sign. You will turn right on this corner. Continue another 2.5 km till you see the next LandMark. It will be a similar sign as the first landmark. It is highly recommended that you park here. It is about a one minute walk up the hill as you bend around the corner.